Few systems are more important to a home-owner than the plumbing, and it is important to keep everything in working order. From dishwashers to toilets to shower drains and faucets, they are all crucial. 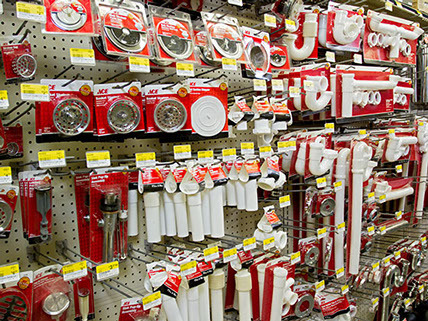 At Grand Lake ACE Hardware we carry all of the products you need to keep everything working regardless of whether it is a simple repair or a more complicated replacement. Our plumbing experts can help you with virtually any do-it-yourself job, and make sure you have the proper tools and materials to handle the job. CALL NOW: (510) 652-1936. We can help.